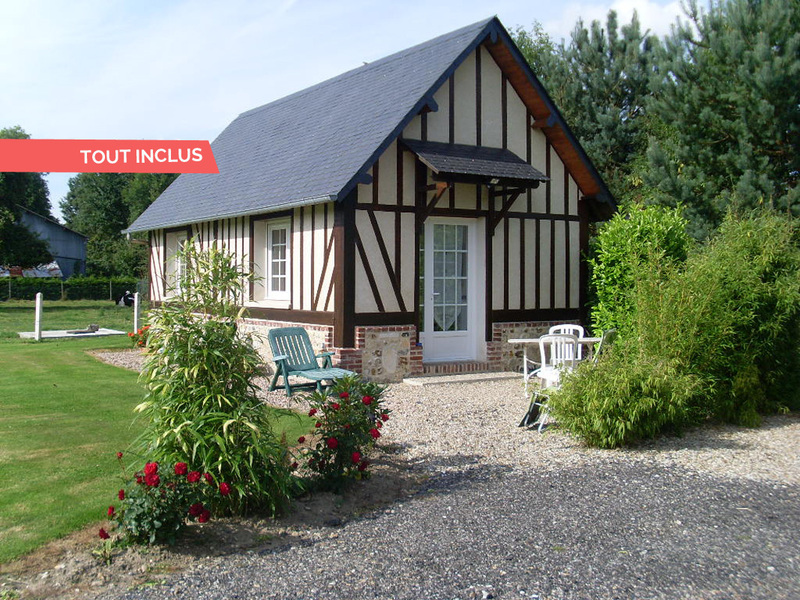 Cosy little house for 2, tastefully decorated, near Honfleur. 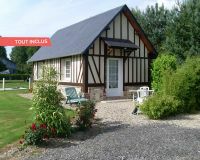 Small cocoon in the heart of the countryside, Corinne's cottage offers a well-appointed space. The house is bright, decorated into clear tones and opens onto the countryside of the inland region of Honfleur. Quality and functionality for this pretty address. GROUND FLOOR, studio : living-room with cook area, bedroom (opened onto the room, 1 double bed), shower room with toilet. 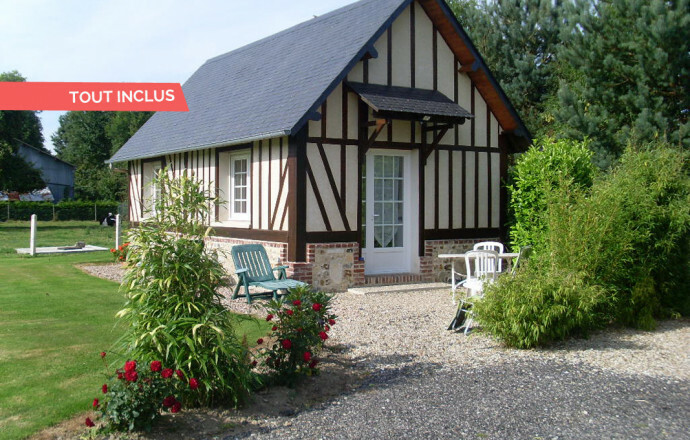 The attentive welcome of the owners is also an asset of this cottage. Shared garden (with the second cottage ref. 941 and the owners), unfenced with orchard and animals around : swing, rackets, petanque. Coin nuit dans la pièce de vie.